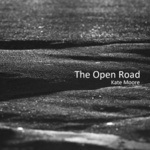 The open road : setting of poems by Walt Whitman / Kate Moore. The text is adapted from Walt Whitman's 'Song of The Open Road', a set of poems featured in his magnum opus 'Leaves of Grass'. The words, encased in song and music, encourage the listener to put way all fear and anxiety and take to the open road as a symbol for life's journey, a process of discovering "divine things well envelop'd...more beautiful than words can tell". Instrumentation: Mezzo-soprano voice (also singing bowl), harp, trumpet/flugelhorn, organ (each performer also sings and plays percussion instruments). Difficulty: Medium — The harp part is more difficult and requires an advanced performer. Contents note: Lyre -- We must not stop here -- I will be honest with you -- Whoever you are come travel with me -- Mystic trumpeter -- They too are on the road -- Journeyers -- We will sail -- Spin bird -- To that which is endless -- Whoever you are come forth -- The open road -- The road is before us -- You flagg'd walks. 20 May 2017: at Kate Moore: Herz Cycle (Orgel Park). 25 Jun 09: Ostade Theater, Amsterdam, Netherlands. Featuring Michaela Riena. 25 May 09: Rotterdamse Schouwburg, Netherlands. Featuring Michaela Riena. 24 Apr 09: Theater Odeon, Zwolle, Netherlands. Featuring Michaela Riena.